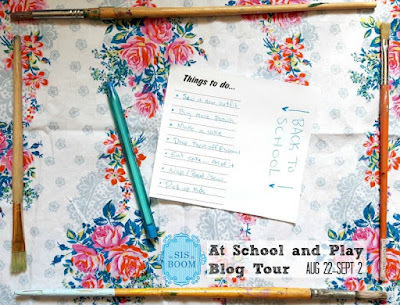 I'm absolutely loving back to school sewing, so today, we're kicking off Sis Boom's, At School & Play Blog Tour. We've had some fun hacking the Tobago before, and this time I thought we could do another small hack, by making it in my kids favorite type of fabric: KNIT! I didn't change the pattern pieces at all and cut it out of Raspberry Creeks Club Knit Floral instead of woven fabric, then I added neck and arm bands. The only other small change was adding 4 little belt loops so I could put a belt around Aevs waist. Super small and easy adjustment, but it turns it into a whole new dress! 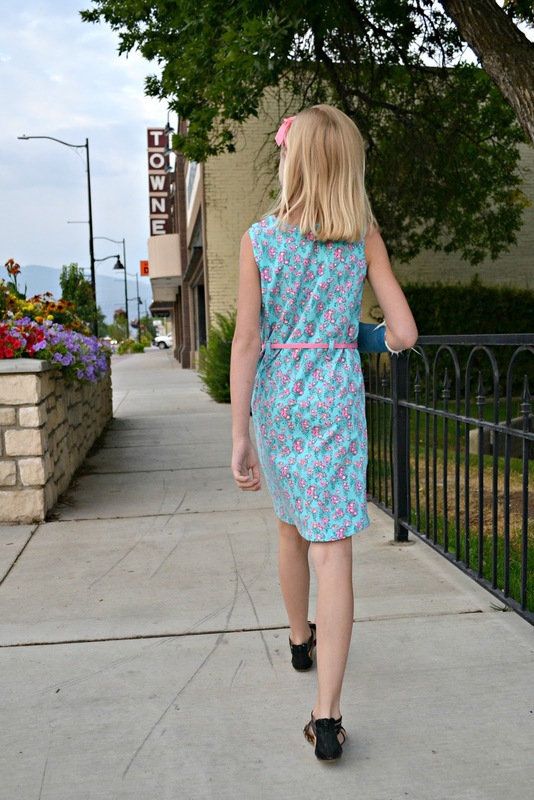 Aevs has been soo excited to get a dress out of this floral since we bought it and I felt today she deserved a special treat since those pins in her arm are coming out and a new cast will be put on for a few more weeks. Poor girl. I broke my arm 3 times as a kid, but I think she's spent more time in a cast than I did! So now that you've read all about my small hack, we're onto the giveaway!!! Leave a comment telling me what color cast you think miss Aevs will pick today for your chance to win the Tobago pattern for yourself! Giveaway will end Sept 2nd at the end of the tour! Don't forget to check out the other bloggers looks this week. 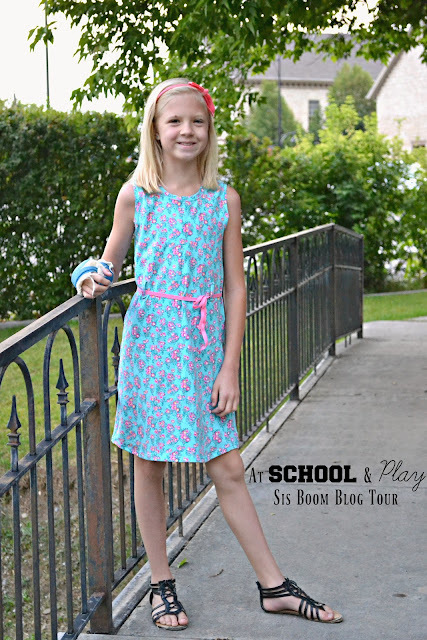 We are excited to announce that our bloggers EACH have a pattern giveaway on their posts! 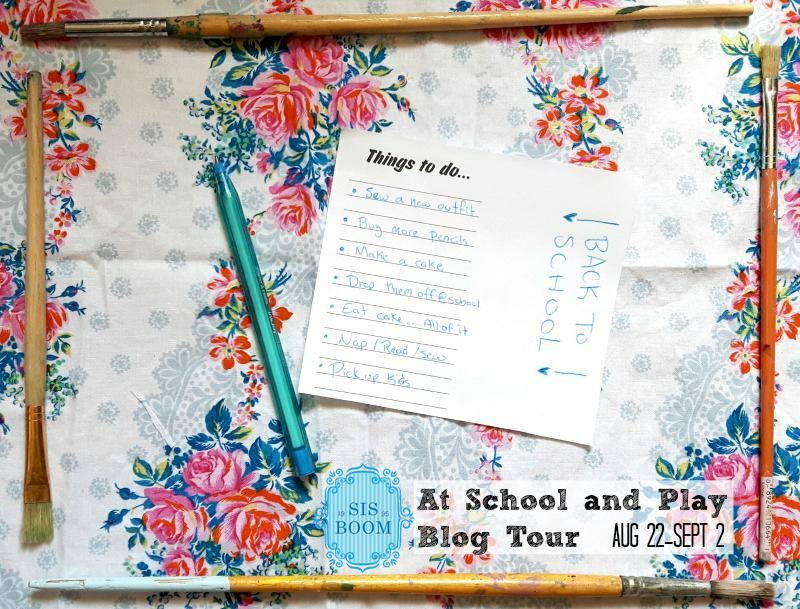 Everyday something new, so be sure to follow along with this tour! Too cute! It looks great in knit and with the belt loops! I'm guessing Miss Aevs wears purple today. Great modeling job, by the way! I love this dress hack and the fabric, such a great combination!! I think the pinky/red or purple! I love that dress on her, my little would want that the second I show it to her. I'd better make her one before I show her �� if she were my girl.she'd go for pink or purple. Poor Aevs! But she's still modeling like a pro. Excellent. Glad she is on the mend! I guess a green cast. Love the idea of the belt loops. Hot pink for my grand girl, so that's my guess for Aevs too. light blue to match her dress! Can they do a rainbow cast? Wouldn't that be fun. I think she will pick turquoise for her cast. She needs a purple cast! I can't wait to try this in a knit too! I vote pink. Love the dress, makes her look very grownup. Adorable in the knit! I think she will choose green! What a pretty dress! I really need to make one! I think she will choose orange! What a beautiful dress! 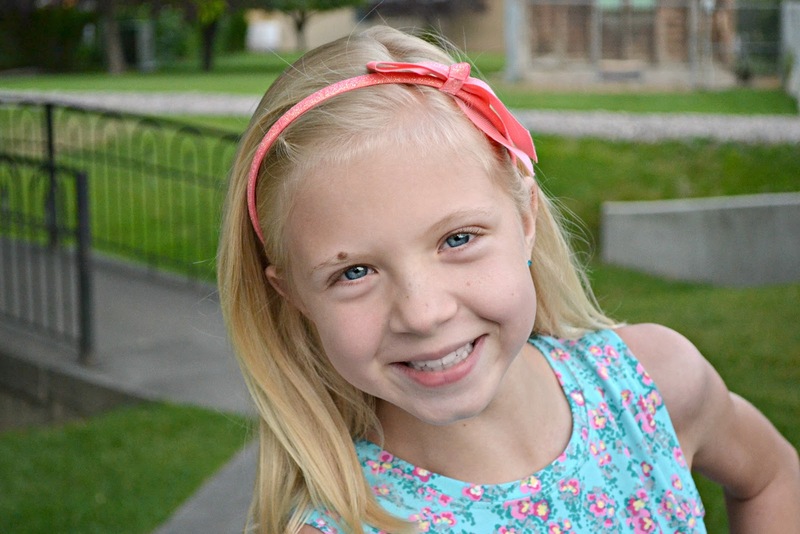 My little loves knit fabric too - so glad to see this pattern can be "hacked" with a knit.